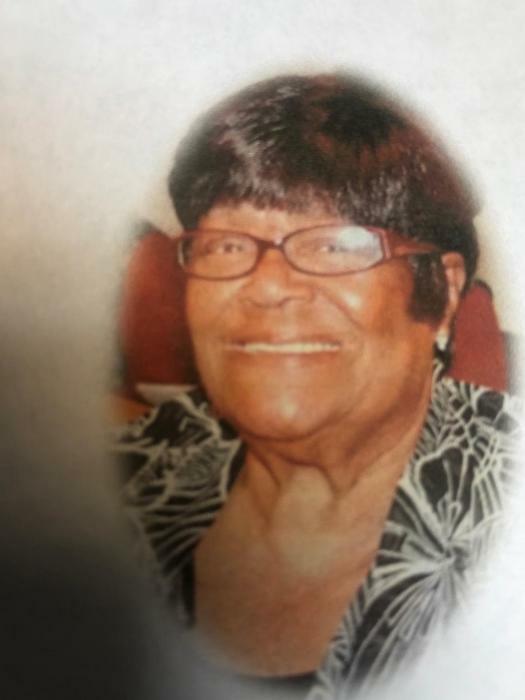 Emma "Bootsie" Lewis-Williams, 89 of North Little Rock departed this life April 1, 2019. She was born August 26, 1929 in Glendora Mississippi to Sam Lewis Sr. and Emma Williams-Lewis. She was preceded in death by her husband: Charles Williams Sr., son: Timothy Williams, parents: Sam Lewis Sr. and Emma Williams-Finks, great granddaughter: Kameiah Williams, siblings: Martha Bell, Sam Lewis Jr., Alma Wade, and Frankie Price. Loving memories left to children: Charles Williams Jr., Laydell Williams, Freda Williams, Karen Lewis, Pamela Williams, Ronald Williams (Lisa), and Glenda Williams (Artee). 12 grandchildren 18 great grandchildren, 5 great great grandchildren and a host of nieces, nephews, cousins, and friends. Family hour Thursday April 11, 2019 6-7 pm. Homegoing celebration April 12, 2019 10:00 am. Both held at Eighth Street Missionary Baptist Church 901 SA Jones Drive North Little Rock. Superior Funeral Services 5017 E. Broadway North Little Rock (501) 945-9922. Trudean Long Brown "Providing Services Your Family Deserves."